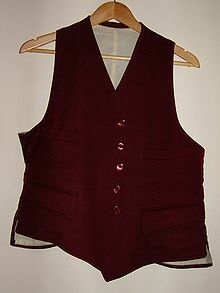 (countable) A vest is a piece of clothing that covers the chest; a vest is like a shirt with no sleeves. Our suits came complete with vests. The police were wearing bulletproof vests.